The Central Bank of Sri Lanka, with support from International Finance Corporation (IFC) and the United Nations Development Program (UNDP), has launched the Sustainable Finance Roadmap for the financial sector to increase capital flows to activities with a positive impact on the environment, society, and governance (ESG), and also manage the risks associated with these areas. By providing policy guidelines and recommendations for responding to ESG risks and opportunities, the Roadmap aims to green the whole financial sector – banking, capital markets, and insurance – and help build a more resilient and sustainable economy. IFC, a member of the World Bank Group, serves as the Secretariat and technical advisor for the Roadmap, while the UNDP provides funding support through the Biodiversity Finance Initiative. Although Sri Lanka accounts for less than 1 percent of global greenhouse gas emissions, the country is highly vulnerable to climatic fluctuations. Recurrent weather-related disasters, particularly over the past three years, have affected thousands of people and hampered the country’s economic growth. The Government of Sri Lanka has emphasized the need for sustainable development as part of its Sri Lanka 2030 Goal and Nationally-Determined Contribution under the Paris Agreement on Climate Change. “Sustainability is one of the key focus areas of Sri Lanka’s economic policy. The government has attached a great deal of priority to sustainability, realizing that we need to secure a green economy for our future generations,” said Dr. Indrajit Coomaraswamy, Governor of CBSL. “As the Central Bank, we have also placed a greater emphasis on sustainability especially considering it as a principle for the financial sector. Being the apex financial institution, we have taken this momentous step to introduce a roadmap for the financial sector to ensure that sustainability is considered in financial decisions. While this provides broad guidance to all key stakeholders of the financial system, we hope that all key players would adjust their plans and policies to accommodate the need for sustainable finance practices. I thank all stakeholders who partnered in this nationally important task. Speaking at the first Sri Lanka Sustainable Finance Workshop, hosted by CBSL and IFC in 2017, the President of Sri Lanka, Maithripala Sirisena, emphasized the significant role the financial system could play in achieving the United Nations’ sustainable development goals. He highlighted that the banking sector was an important partner for tackling crucial development challenges, including climate change, poverty, and equity. 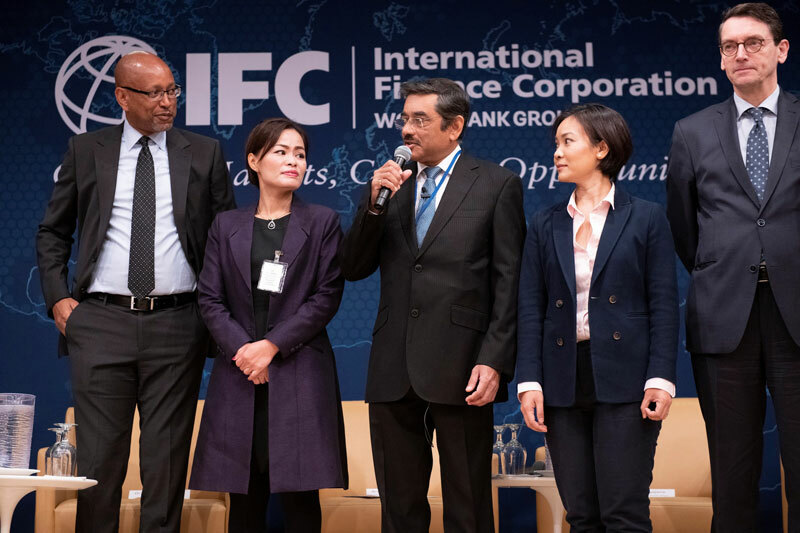 Building on that consensus, IFC worked with CBSL in convening a dialogue with financial institutions and providing strategic and technical guidance to the sector on sustainable finance, including action plans. The roadmap referenced international best practice and leveraged collective experiences from 36 SBN member-countries from emerging markets. Whether managing risk, creating business value by incorporating sustainable solutions, or identifying innovative ways to finance sustainability, the private sector is playing an indispensable role. 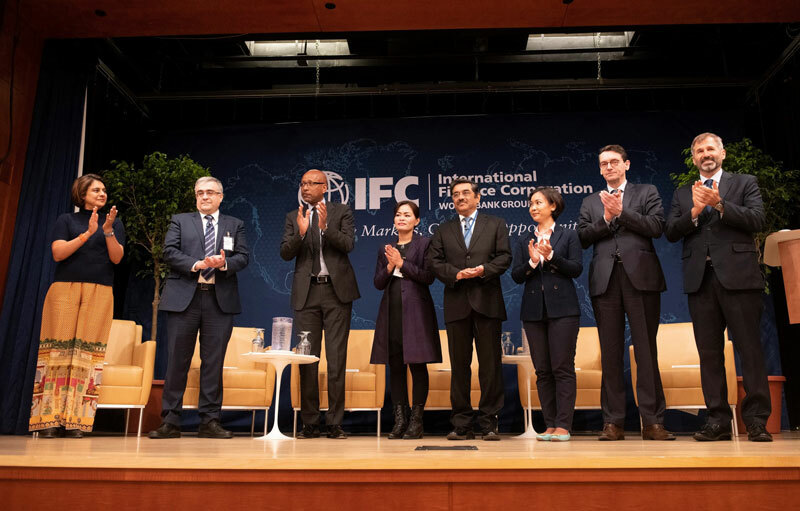 IFC, as an investor and advisor in the private sector, works with financial institutions to introduce ESG standards and risk management in their lending practices to promote stability of financial systems in emerging markets. Central Bank of Sri Lanka (CBSL), is the apex financial institution in Sri Lanka. CBSL was established in 1950 under the Monetary Law Act No.58 of 1949 (MLA) and following the amendments to the MLA in December 2002, is responsible for securing its core objectives of economic and price stability and financial system stability. In addition, the CBSL is the advisor on economic affairs as well as the banker to the Government of Sri Lanka (GOSL). On behalf of GOSL, the CBSL, as its agent, is responsible for four agency functions of: management of the Employees Provident Fund; management of the public debt of Sri Lanka; administration of the provisions of the Exchange Control Act; and administration of foreign and government funded credit schemes for regional development. For more information, visit www.cbsl.gov.lk. The Sustainable Banking Network (SBN) is a knowledge and capacity-building platform of financial regulators, banking associations, and environmental regulators from emerging markets interested in developing sustainable finance frameworks based on national context and priorities, as well as international good practices. IFC acts as the Secretariat of the Network, playing the role of facilitator and Technical Adviser to SBN. SBN membership now consists of 31-member countries, which represent over 85 percent of the banking assets across emerging markets. CBSL joined SBN in 2016. For more information on the Sustainable Banking Network, visit www.ifc.org/sbn.